This low cylinder will makes a beautiful centerpiece for a dining table or coffee table. 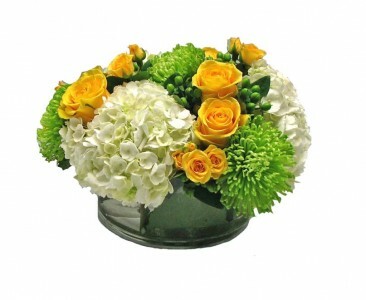 This beautiful low and lush centerpiece was created in blue by popular demand after the favorite Palm Beach Pink. 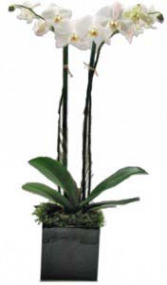 By far our best selling orchid design, the ceramic cube is sleek and modern and very Palm Beach. Please specify black or white cube in the special instructions section at checkout if you have a preference. 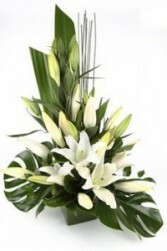 Modern lily design in glass cube with lush tropical foliage.